Walk to Campground beach! 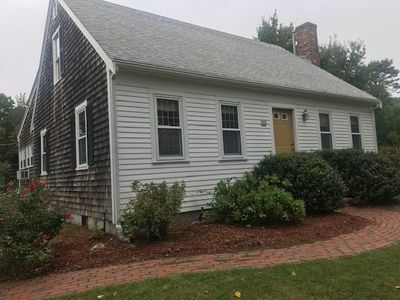 Renovated July 2018 w/A/C & Heat - BEAUTIFUL updates! 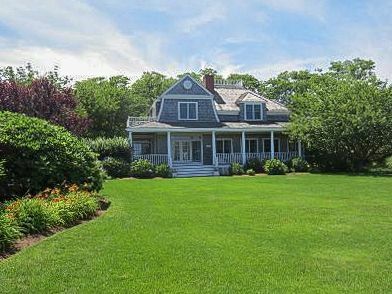 This is where your Cape Cod family memories begin! Short, easy walk to the Campground public beach with no stairs. 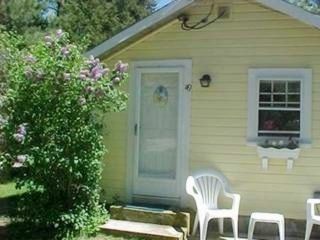 Pull up to your cottage and smell the ocean! 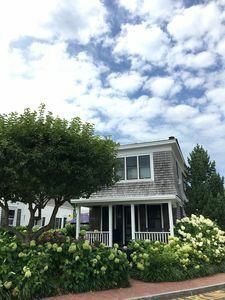 Recently purchased and renovated in July 2018 with many new Cape-style furnishings and fixtures that will add even more comfort to your stay! 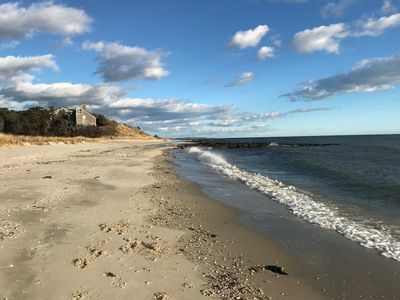 The sandy beach with warm waters on Cape Cod Bay in North Eastham is perfect for small children and enjoyed by all ages! Off-street, private parking for three cars with room for a boat or trailer. 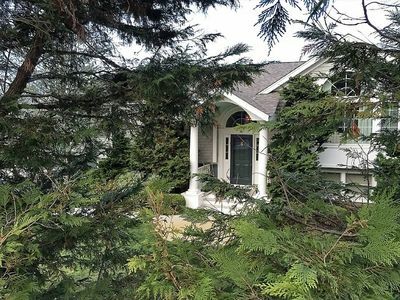 Private, landscaped yard. Gas grill for cooking your favorite summertime recipe! 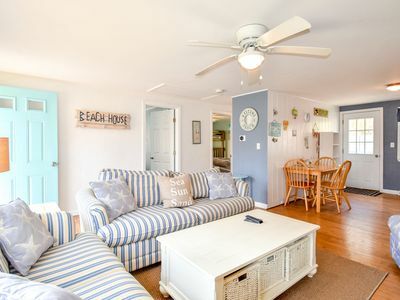 After a stroll on the beach, take in the salt air of a warm summer evening while kicking back on the brand new, spacious porch! 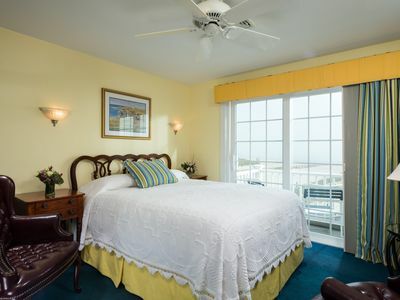 Master bedroom has a queen bed, while second bedroom has two twin beds making for comfortable sleeping quarters for all. Third bedroom with two more twin beds is perfect for the kids. 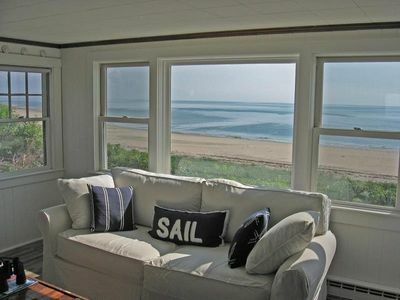 Lots of screened windows to hear the wind, sea and crickets. 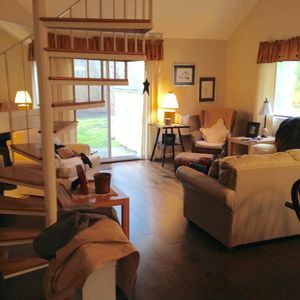 Comfortable living area has plenty of room for games or enjoy the evening watching the flat screen cable TV. Shower under the stars in the newly built large cedar, outdoor shower with hot water and changing area. 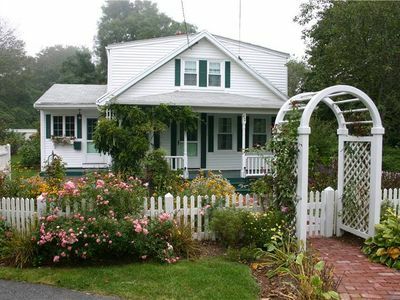 Cape Cod Vacation: air conditioning, fully stocked kitchen, blankets, pillows, high definition with full cable TV, and WiFi. *Bed sheets and towels not included, but available for additional charge of $30 per person. Gateway to the Cape Cod National Seashore, the Town of Eastham is a coastal resort community straddling the arm of Cape Cod. 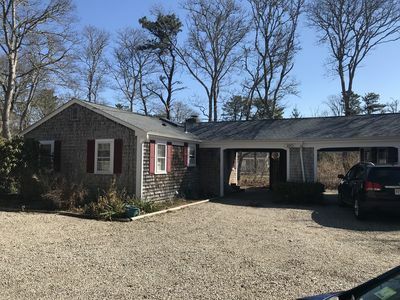 Located on the outer Cape, the town is bounded on two sides by land, the other two by water, the Atlantic Ocean and Cape Cod Bay. 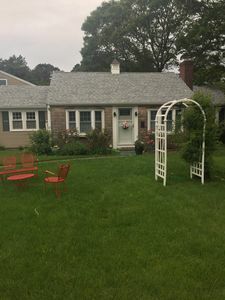 Eastham is a quiet town with several ocean and bay beaches, a host of kettle ponds, pretty country lanes, panoramic views of Cape Cod Bay and the Atlantic Ocean, and lots of wide-open space for nature lovers. 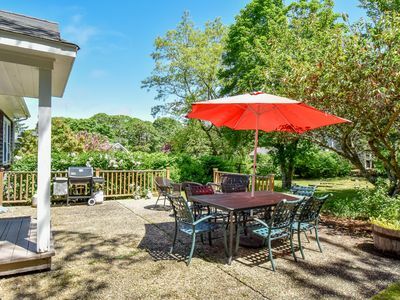 The Audubon Sanctuary in Wellfleet is a popular spot and is only several miles from the cottage and don't forget that the Cape Cod Rail Trail is only a five minute bike ride away. At night, take the kids up to the Wellfleet Drive-In Theater, one of only new remaining in New England, where you can all relax and enjoy a night of new movies under the stars! Note: Weekly rates include all taxes and service fees, excluding refundable security deposit, cleaning fee and linens. Nightly fees are determined by which week is rented. Please see further rate details above. 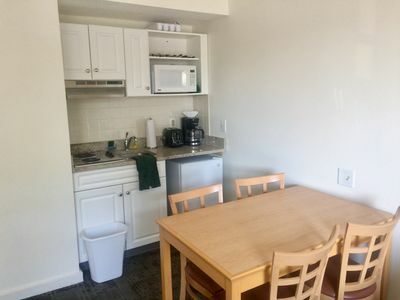 -- 50% of rent deposit due with signed copy of lease; balance of rent, cleaning fee and security deposit due 60 days prior to commencement of lease. 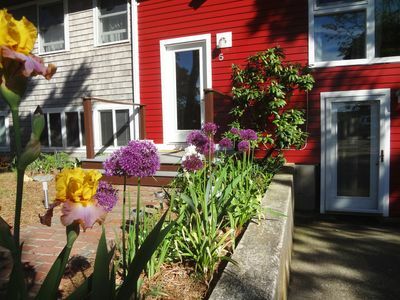 Spread Out in this Chic West-End Home, Easy Walk to Commercial Street! SHORT WALK TO LIGHTHOUSE BEACH, ANDREW HARDINGS LANE BEACH AND TOWN!! Perfect Location! 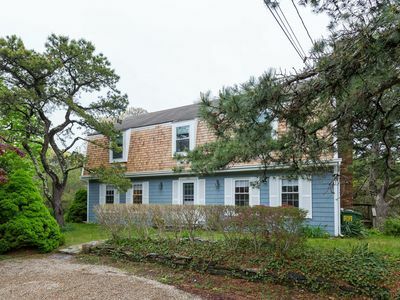 Beautiful 4 bedroom Shore Road home with views of Chatham Harbor! 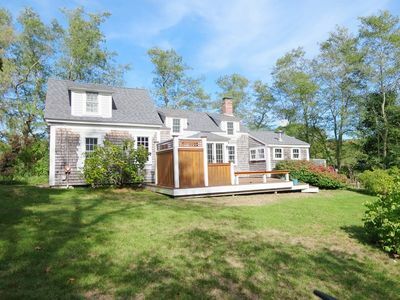 #507: Private garden & patio; dog friendly; close to all Cape Cod has to offer! Dennis - Completely Remodeled. 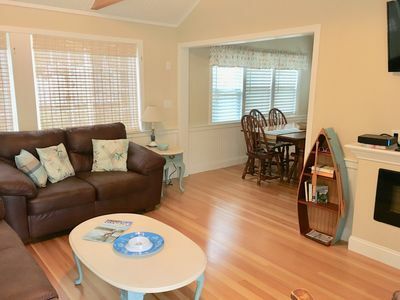 This 4 bedroom 1.5 bath home is located just 1.5 miles from Mayflower Beach. 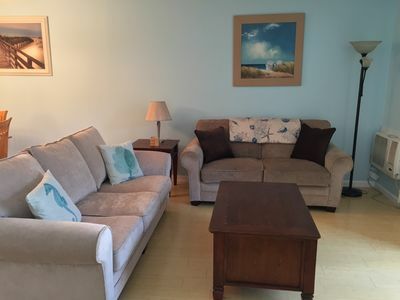 Nicely decorated and featuring brand new (2018) appliances, furniture and beds . 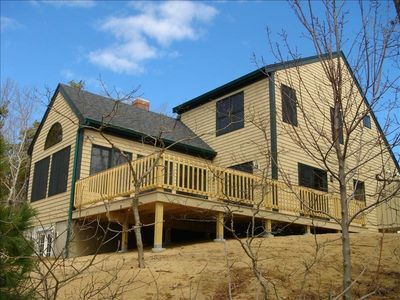 Fully Air-conditioned this home features lots of windows allowing the sun to shine. !.